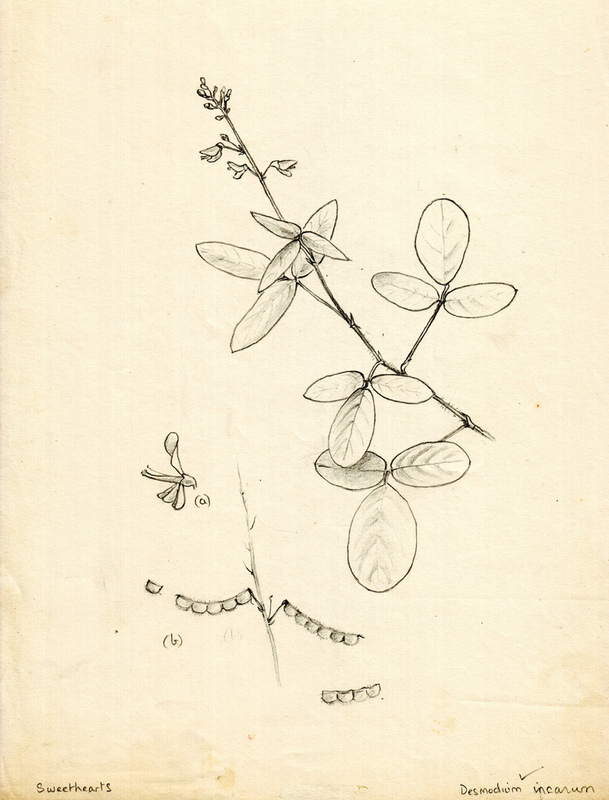 Back in the 80s I made a series of over eighty botanical drawings of some of the small wild flowers that grow in Trinidad and Tobago. 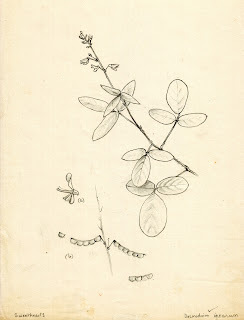 My aim was to make the drawings clear and accurate enough, and with enough detail, to enable positive identifications to be made; and to convey something of "the grace and charm peculiar to their nature". * I made written notes too, and went frequently to the West India Reference Library, which was in Belmont at the time, to consult the Flora. I enjoyed doing them and all were drawn from life, out of doors in front of the subject. I took drawing materials with me wherever we went and developed a keen eye for specks of colour in the undergrowth, or an unusual habit or shape of leaf. I became a collector, eagerly snapping up new species. This particular one here, I remember where it was exactly ... to the inch, and that's the case for many of them. Wish my memory were so good for other things. This one, I was sitting in front of it for perhaps an hour or two. At one point, a tiny puff of pollen was ejected from the flower as I looked at it, a detail which I don't think was in the Flora (how would it be?). However, from an art point of view I felt these drawings were a blind alley. They occupied a grey area between art and science, neither one thing nor the other. I became stuck. I didn't know enough and there seemed to be no way to find out. It was before the internet. I put them aside, and didn't do very much drawing or painting for a few years. When I began again in the 90s, every now and then I would look at the folder of drawings and wonder what could be done with them. This is where it's at now, but with the tools and experience acquired over the last seven or so years, I'm hopeful of a different outcome, mainly from an art point of view but overlapping into science. In fact, there's a lot going on now in art with exploring the boundaries between art and science. I find it wonderfully exciting and it fits well with my background in both fields. About the Monthly Art Market in December -- It went well, was a positive experience, and I sold more than enough to cover the expenses. It was pleasant being among artist friends and visitors who were interested in art, for two whole days.